Pomona Public Library in Pomona, California – Visit the “Laura Ingalls Wilder Room” where you will discover the handwritten manuscript of Laura Ingalls Wilder’s Little Town on the Prairie. The library also includes the original typewritten manuscript of By the Shores of Silver Lake and the teleplay of “Remember Me” from Season 2 of the TV series. In 1967 the first Gingerbread Sociable was held at the library to celebrate the 100th anniversary of Mrs. Wilder’s birth. A Gingerbread Sociable has been held the first Saturday in February every year since then with live music, pioneer craft displays, and apple cider and gingerbread. Find out more by visiting the library website and Facebook page. 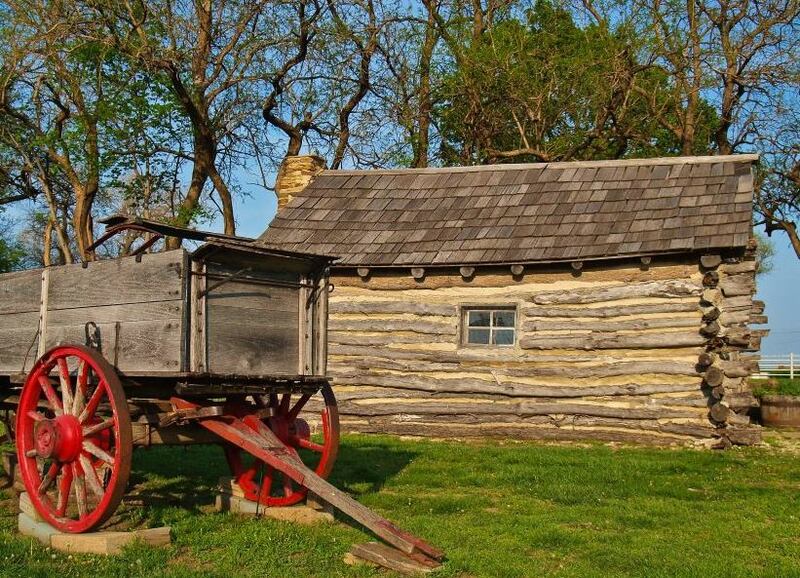 Laura Ingalls Wilder Park and Museum in Burr Oak, Iowa – Nestled along the banks of Silver Creek in the Northeast corner of Iowa, Burr Oak is the town where the Ingalls family lived in 1876 when Laura was nine years old. Take a tour of the Masters Hotel that the family managed and see the birth site of Caroline’s fourth daughter, Grace. Find out more by visiting the website and Facebook page. 1900 Horse-Powered Farm. Courtesy of Living History Farms. 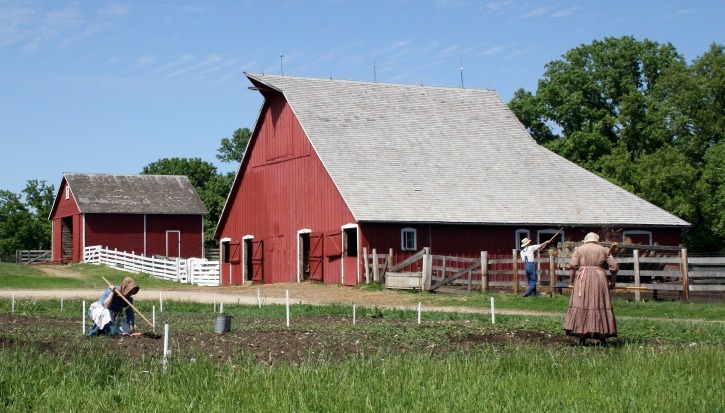 Living History Farms in Urbandale, Iowa – Living History Farms is an interactive, 500-acre outdoor history museum that educates people of all ages about Midwestern rural life experiences. Visitors are encouraged to engage with the three working farm sites: 1700 Ioway Indian Farm; 1850 Pioneer Farm; and 1900 Horse-Powered Farm. Find out more by visiting the website, Facebook page, or Twitter. Herbert Hoover Presidential Library and Museum in West Branch, Iowa – Nestled in an Iowa prairie landscape, the Library and Museum tells the extraordinary story of Herbert Hoover, the 31st president of the United States. 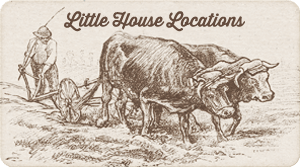 The Library and Museum is also home to a large collection or archival information about Laura Ingalls Wilder and her daughter Rose Wilder Lane. Find out more by visiting the website, Facebook page, and YouTube channel. The IBSSS Mary Ingalls Society in Vinton, Iowa – The Iowa Braille and Sight Saving School Mary Ingalls Society was established to fund and support the historical significance of the school and its connection with the Ingalls-Wilder story. Find out more by visiting the website and Facebook page. Nelson Pioneer Farm and Museum near Oskaloosa, Iowa – Since 1960, Nelson Pioneer Farm and Museum has been honoring rural pioneers. They host “Laura’s Days” and many other events with hands-on activities, programs and presentations. Find out more by visiting the website and Facebook page. 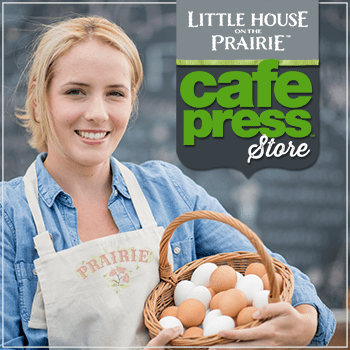 Little House on the Prairie Museum near Independence, Kansas – This historic site consists of a reproduction cabin similar to the one in which the Ingalls family lived while on the Osage Diminished Reserve on the Kansas prairie. It also features a one-room schoolhouse, post office, and well, hand-dug by Charles Ingalls. Find out more by visiting the website and Facebook page. Mid-America All-Indian Center in Wichita, Kansas – The Mid-America All-Indian Center (MAAIC) is a unique cultural facility located on the shores of the Arkansas River in downtown Wichita, Kansas. Established in 1969, the goal of the MAAIC is to educate the community about the traditions and heritage of Native American peoples while recognizing the important role they play in today’s society. The Center features a collection of more than 3,000 artifacts. Find out more by visiting the website and Facebook page. Old Cowtown Museum in Wichita, Kansas – Travel back in time to the late 1800s to a frontier settlement on the Chisholm Trail. Far-flung and isolated without connections to the rest of the country, except by horse and stage, pioneers journeyed without any idea of what the future could be. Experience Cowtown, a representation of Wichita’s early days and entrepreneurial development. Find out more by visiting the website and Facebook page. Tallgrass Prairie National Preserve near Strong City, Kansas – Tallgrass Prairie National Preserve is a United States National Preserve located in the Flint Hills region of Kansas, north of Strong City. Tallgrass prairie lands once covered 170 million acres of North America yet less than 4% remains today, mostly in the Flint Hills. This preserve protects nationally significant tallgrass prairie and its cultural resources, and since 2009 has also been home to a growing herd of bison. Find out more by visiting the website and Facebook page. Laura’s Dugout Home near Walnut Grove, Minnesota – Laura Ingalls Wilder lived 1.5 miles north of Walnut Grove along the banks of Plum Creek from 1874 to 1876. In 1947 the Gordon family purchased the 172 acre farm where the Dugout was located and to this day make it available for Laura fans to visit and experience the sights and sounds described in On the Banks of Plum Creek. Find out more by visiting the website. Laura Ingalls Wilder Museum in Walnut Grove, Minnesota – Learn about the history of the Ingalls family in the Walnut Grove area by visiting the museum’s collections, which are housed in a series of interesting structures such as a 1898 depot, a chapel, a dugout display and covered wagon display, and an early settler home. Find out more by visiting the museum on Twitter, and Facebook page. Sod House on the Prairie in Sanborn, Minnesota – Located 18 miles east of Walnut Grove along the Laura Ingalls Wilder Historic Highway, the Sod House on the Prairie features acres of restored prairie with tall grasses, flowers, and sod houses so you can experience the prairie as Laura knew it. 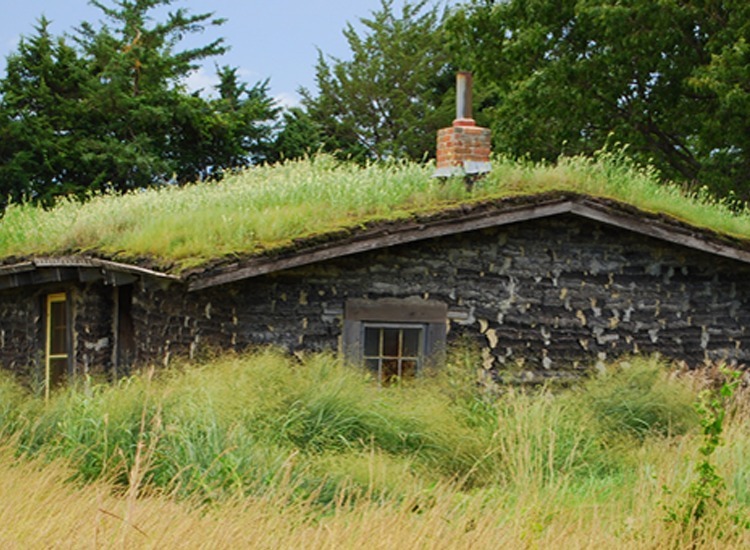 These authentically built replicas feature dirt floors, grass roofs, and sod walls. Spring Valley Methodist Church Museum in Spring Valley, Minnesota – This beautiful church is listed on the National Register of Historical Places. Historic records show the church’s connection to the Wilder family including Almanzo and Laura Ingalls Wilder, as well as Almanzo’s sisters. Find out more by visiting the website. Wheels Across the Prairie Museum in Tracy, Minnesota – Explore the museum’s exhibits, which include historic buildings and collections of farm equipment and train equipment from America’s past. In By the Shores of Silver Lake, Laura Ingalls Wilder describes her first train ride from Walnut Grove to Tracy in the 1880s and later mentions Tracy as a rail center in her book The Long Winter. Find out more by visiting the website and Facebook page. Laura Ingalls Wilder Historic Home & Museum in Mansfield, Missouri – Visit the final homes of Laura and Almanzo and the new state-of-the-art museum and visitor center. Visitors can see the study where Laura wrote her beloved Little House books, as well as the many treasures that remain exactly how she left them, including Pa’s fiddle and Almanzo’s tools. Find out more by visiting the website and Facebook page. Arabia Steamboat Museum in Kansas City, Missouri – The Arabia Steamboat Museum is a unique Kansas City attraction: a time capsule of life on the American frontier in the mid-nineteenth century. Visitors can experience the everyday objects that made life possible for pioneers in the 1800s. The museum houses the largest single collection of pre-Civil War artifacts in the world. Find out more by visiting the website and Facebook page. Homestead National Monument of America in Beatrice, Nebraska – Homestead National Monument of America, part of the National Park System and located in Southeast Nebraska, commemorates the Homestead Act of 1862 and the far-reaching effects it had upon the landscape and people. Find out more by visiting the website, Facebook page, and Twitter. 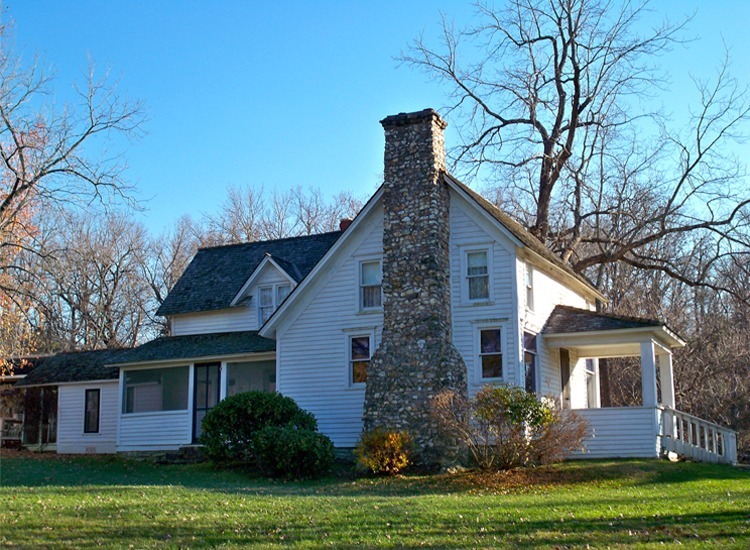 Wilder Homestead: Boyhood of Almanzo in Malone, New York – The Wilder Homestead was the boyhood home of Almanzo Wilder which his wife, Laura Ingalls Wilder, described in her second Little House book, Farmer Boy. The museum houses a collection of antique tools that were used during the time the Wilders lived there. Find out more by visiting the website, Facebook page, and Twitter. Cuba Historical Society in Cuba, New York – Charles Ingalls, Laura Ingalls Wilder’s beloved father, was born on a farm in the North Cuba area. Several members of the Ingalls family had settled there prior to 1835, and several brothers all had adjoining farmlands. Find out more by visiting the website. Genesee Country Village & Museum in Mumford, New York – Genesee Country Village & Museum is the largest living history museum in New York State and includes a 19th-century village, gallery, nature center and 600 acres of gardens and wildlife. One of their most popular events is Laura Ingalls Wilder Days, which takes place the first weekend of August each year. Find out more by visiting the website and Facebook page. Sauder Village in Archbold, Ohio – Take a step back in time at Ohio’s largest living-history village. Explore more than forty historic homes and shops, visit with costumed guides and working craftsmen, try unique hands-on activities and so much more. Find out more by visiting the website, Facebook page, and Twitter. 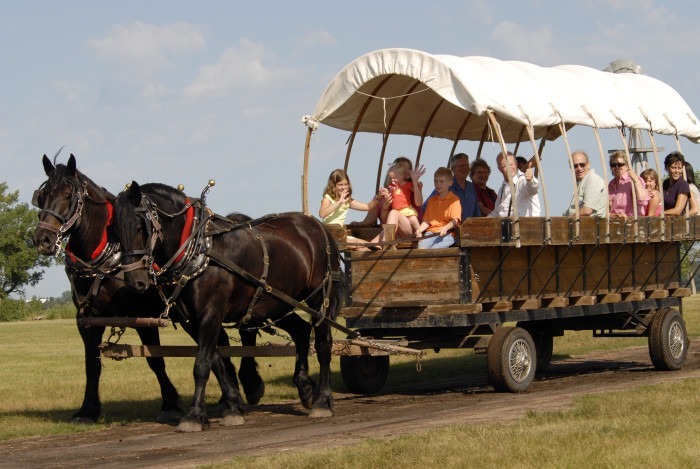 Singing Creek Educational Center in Junction City, Oregon – Go back in time as a pioneer and have an experience you will never forget. 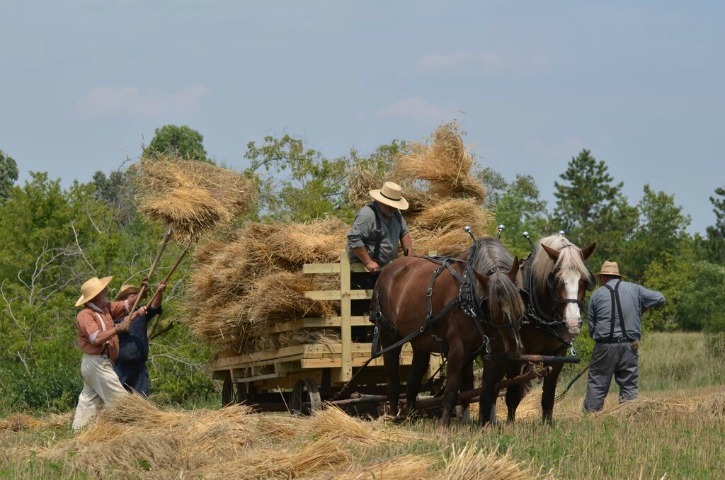 Located on a working farm, Singing Creek Educational Center’s mission is to inspire children and families toward an appreciation of local history through hands-on interactive learning. Find out more by visiting the website. Historic Sugartown in Malvern, Pennsylvania – Described as a nineteenth-century crossroads village, Historic Sugartown inspires the community to engage with the past through authentic 19th-century experiences, participate in the village’s present life and protect it for the future. Find out more by visiting the website, Facebook page, and Twitter. Ingalls Homestead in De Smet, South Dakota – The Ingalls Homestead is in the heart of South Dakota’s tallgrass prairie. Laura Ingalls Wilder lived on this land from age 13 to 18. Find out more by visiting the website and Facebook page. 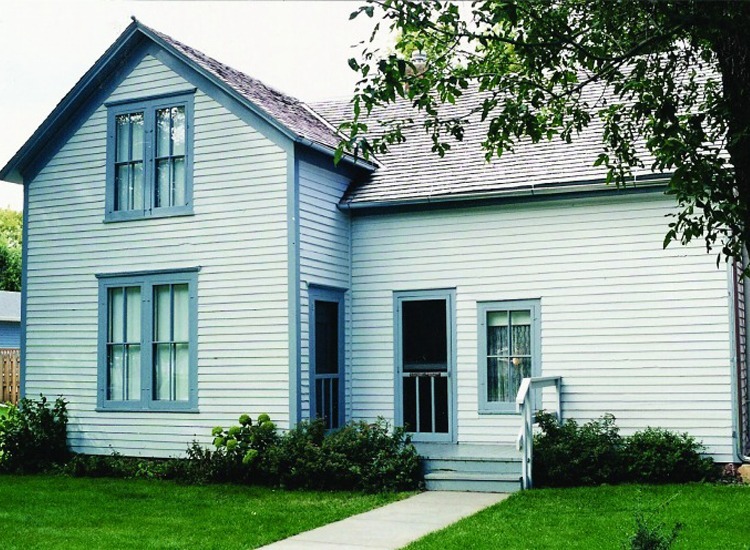 Laura Ingalls Wilder Historic Homes in De Smet, South Dakota – The Laura Ingalls Wilder Memorial Society was founded shortly after Laura Ingalls Wilder’s death in 1957. Tour several historic homes including the Surveyors’ House from the book By the Shores of Silver Lake and the final home of Ma, Pa, and Mary Ingalls. Find out more by visiting the website, Pinterest account, and Facebook Page. 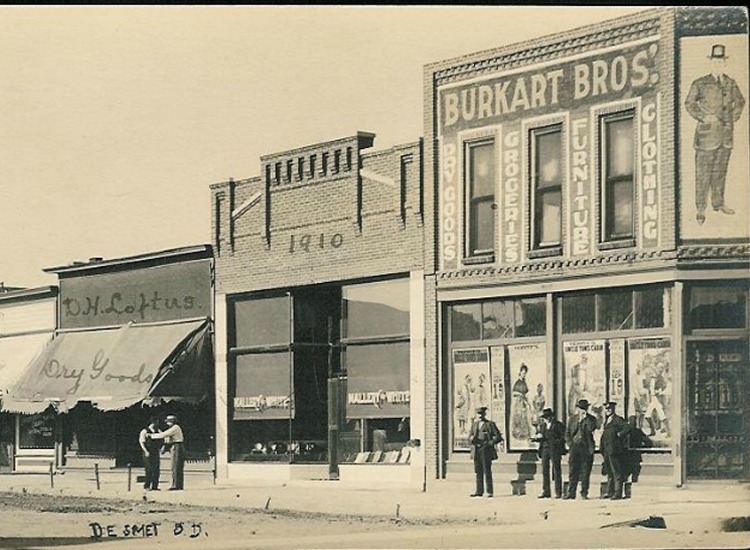 Loftus Store in De Smet, South Dakota – The Loftus store opened in 1879 and is still around today in its original building. Laura Ingalls Wilder wrote of Mr. Loftus and The Loftus Store in The Long Winter. Visitors come to the store to browse the Laura Ingalls Wilder memorabilia. Find out more at the website. Prairie House Manor in De Smet, South Dakota – This gorgeous home was built in 1894 and is mentioned in Laura Ingalls Wilder’s book, The Long Winter. It’s now a lovely Victorian Bed and Breakfast! Find out more by visiting the website. The De Smet Cemetery and Ingalls Family Grave Sites – The De Smet Cemetery is located southwest of De Smet on a hilltop overlooking the city. The Cemetery Association was incorporated in 1881 when it was still Dakota Territory and has headstones dating back to 1880. Each year visitors come to see the grave sites of several Ingalls family members, including Charles, Caroline, Mary, Carrie, Grace and the infant son of Laura and Almanzo Wilder. Find out more by visiting the De Smet website. First Congregational Church – The historic First Congregational Church in De Smet was organized by Charles Ingalls in 1880, with the town’s first religious service taking place in his home on February 29, 1880. Through contributions and pledges, construction on a formal church building began in 1882, with Pa assisting in the construction. Still standing today, the church has maintained its historic presence. Find out more by visiting the website. Keystone Historical Museum in Keystone, South Dakota – Keystone was the long-time home of Carrie Ingalls, Laura Ingalls Wilder’s younger sister. The Keystone Historical Museum’s collection of memorabilia highlights Carrie’s career in the local newspaper. Find out more by visiting the website. 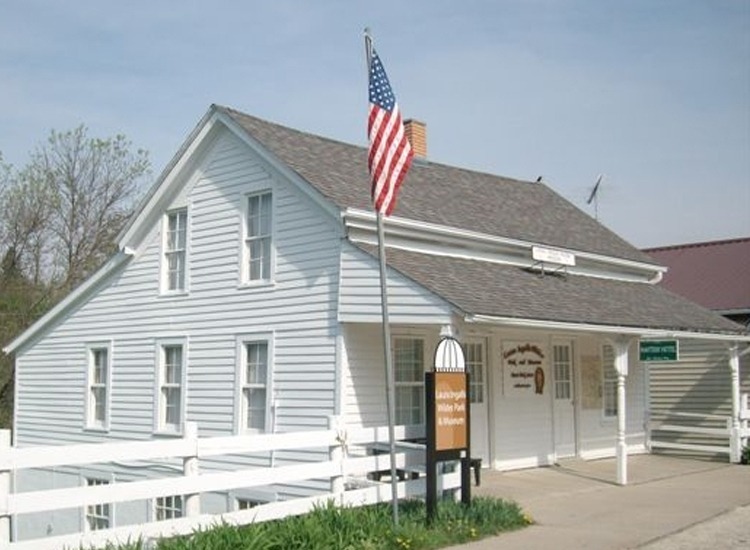 Heritage Hill State Historic Park in Green Bay, Wisconsin – A trip to Heritage Hill is a great way to experience and learn about Northeastern Wisconsin’s rich heritage. Heritage Hill is a living history museum that provides an educational and interactive experience that encourages visitor awareness, understanding, and appreciation of its diverse regional history. Find out more by visiting the website, and Twitter page. Laura Ingalls Wilder Museum in Pepin, Wisconsin – This is the starting point of the Laura Ingalls Wilder Historic Highway and Laura’s birthplace where Little House in the Big Woods took place. The log cabin standing on the site today is a re-creation of the Ingalls’ home and sits on the very land that Ma and Pa owned. 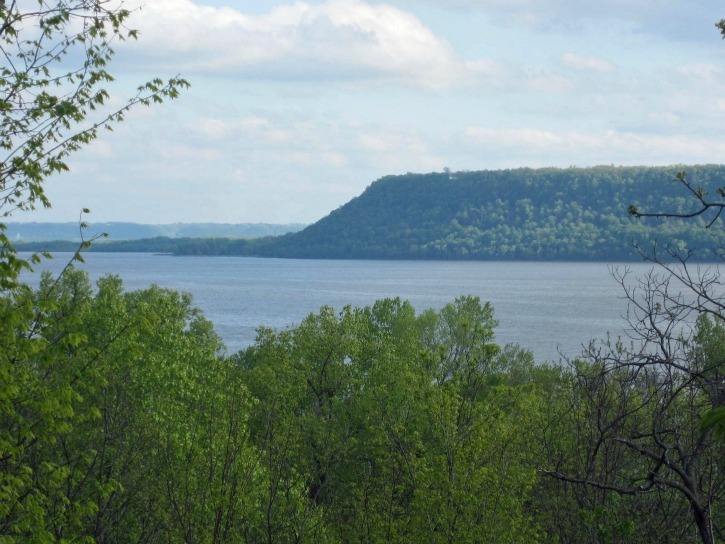 Although the big woods are no longer there, visitors can still admire the beauty of Lake Pepin. Find out more by visiting the website and Facebook Page. 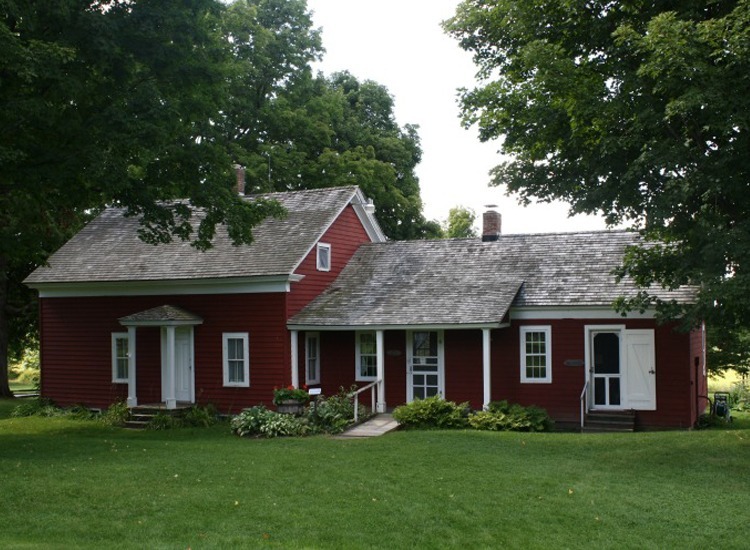 Manitowoc County Historical Society in Manitowoc, Wisconsin – The Manitowoc County Historical Society is a 60-acre interpretive museum of living history. It features a Welcome Center with local history exhibits and the outdoor Pinecrest Historical Village – a collection of over 25 historic buildings with period furnishings from early settlers. Visit the blacksmith’s forge, take part in one-room school lessons, or look for your ancestor’s name in their archives. Find out more by visiting the website, Facebook, Instagram, and YouTube pages. Old World Wisconsin in Eagle, Wisconsin – Old World Wisconsin started in 1976 and has over 60 historic buildings on site. You’ll love to explore the historic 19th century and early 20th century farms. Find out more by visiting the website, Facebook page, Twitter, or Pinterest. 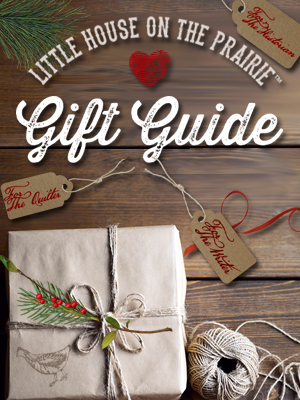 Sandra Hume has written two useful articles for this website – Tips for Family Travel to the Little House Sites and Pageants and Six Can’t-Miss Things to Do and See in De Smet, South Dakota. If De Smet is your primary destination, pick up a copy of Sandra’s “Land of Laura” travel guide, which includes information about lodging, food and dining, transportation, and several sample itineraries. 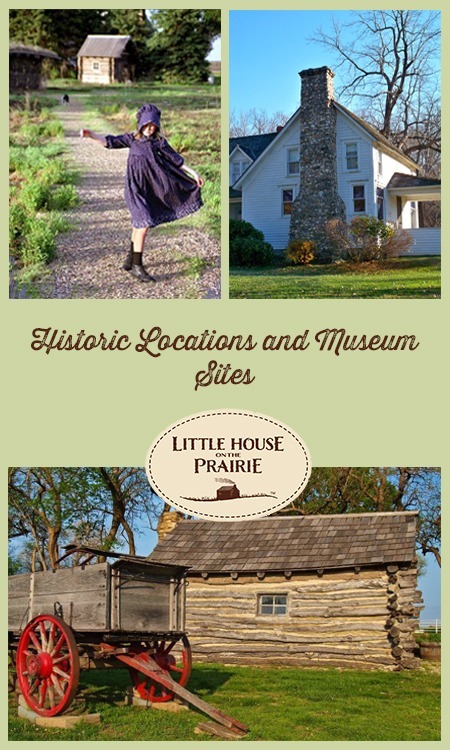 Barbara and George Hawkins’ Little House Site Tours is a great way to organize your pilgrimage to the Laura Ingalls Wilder historic locations and museum sites. Find out more by reading this interview with Barbara Hawkins and visiting her website and Facebook page. Do you know a location we should add to the website? Please use the contact form to let us know! 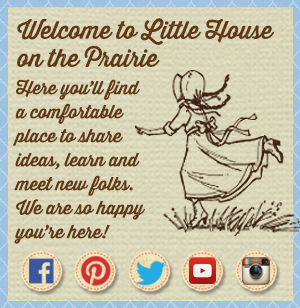 Sign up for our newsletter for updates of our latest posts and more Little House on the Prairie historical events and locations. 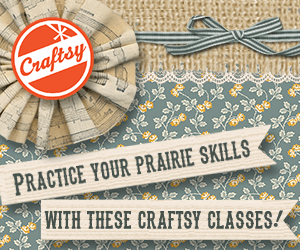 « 18 Crafts to Celebrate Your Pioneering Spirit! I was wondering what happened to the house that the family lived in during the show? The actor who played John Carter (Stan Ivar) disassembled it and took it home. (Per several websites) A replica was built for fans to tour but burned down in 2003. Little house on the prairie was my favorite childhood movie I did not have a television of my own but when it was Saturday night I will be at my neighbors house ready to watch, even now I’m a adult I still have anxiety towhen I talk about my show I loved the show and all the characters in it my favorite was Laura of course make my kids also watched the series all over when ever it comes on well done to all who participated in this movie I wish if I could get all the series to watch all over again in my house to own I would be glad to make my grandchildren watch it also that I would appreciate!!!! Thank you for maintaining such a useful and sweet website. Just what I was looking for to take my Laura-loving daughters to some sites on family vacations. And for places we can’t get to, now we can look at photos.